Feminism has never been as mainstream or as fashionable as it is today. The Chanel catwalk has seen feminist marches. The red carpet of awards ceremonies has been increasingly politicised. movement. Women’s rights and gender equality have never been so big in fashion news – but can the fashion industry, for so long criticised for its lack of diversity and for promoting an unrealistic ideal body image, ever really be compatible with feminism? Caroline Rush, CEO of the British Fashion Council, thinks it can. She is adamant that loving fashion is not a conflict of interest. It does not make anyone automatically anti-feminist. Indeed, she believes that fashion is, and always has been, one of the most effective feminist tools there is. Of course, not everybody would agree, but the argument that Rush makes is a compelling one. 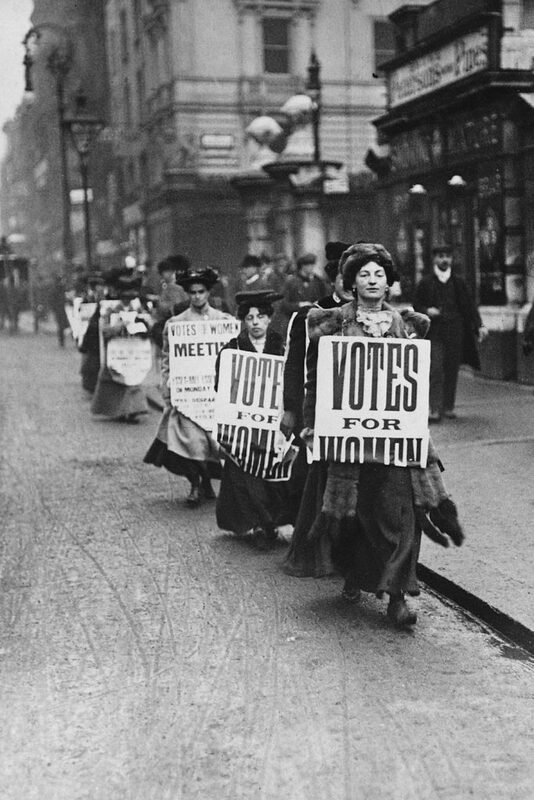 Think back to the Suffragettes. They made a fashion statement of intent with their chosen colour scheme. Purple represented dignity and loyalty. White represented purity and green stood for hope. Here, fashion was much more than a garment or something frivolous – it gave a sense of empowerment. are looking for female role models, they will find many in the world of fashion. has amplified women’s voice louder still. own style, taste and identity.